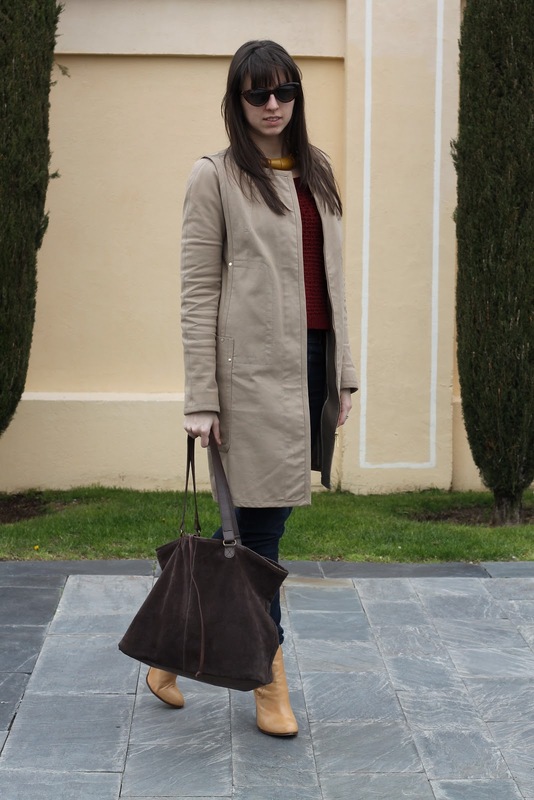 Ya sabéis que el trench es mi prenda favorita para la primavera y, aunque el corte clásico es el que mas me gusta, hoy os traigo una mucho mas minimalista, de corte recto y con los bolsillos tamaño iPad. Os gusta este tipo de prenda o preferís la clásica? You know that I love trench coats during spring. The classical one is my favorite, but today I'm wearing this minimal style, with a straight pattern and iPad size pockets. 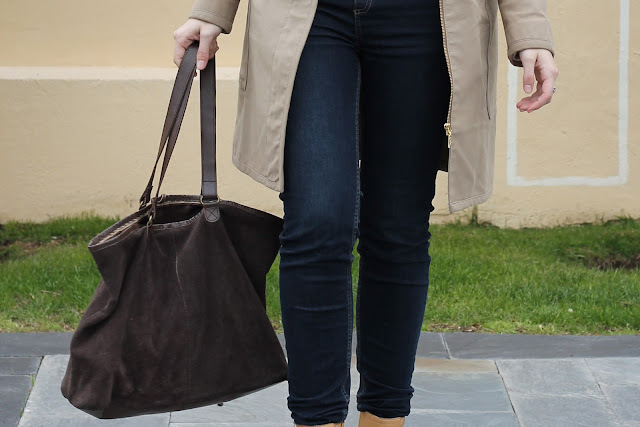 Do you like it or the classic trench is more your style? 20 No te olvides de comentar! / Leave a comment! 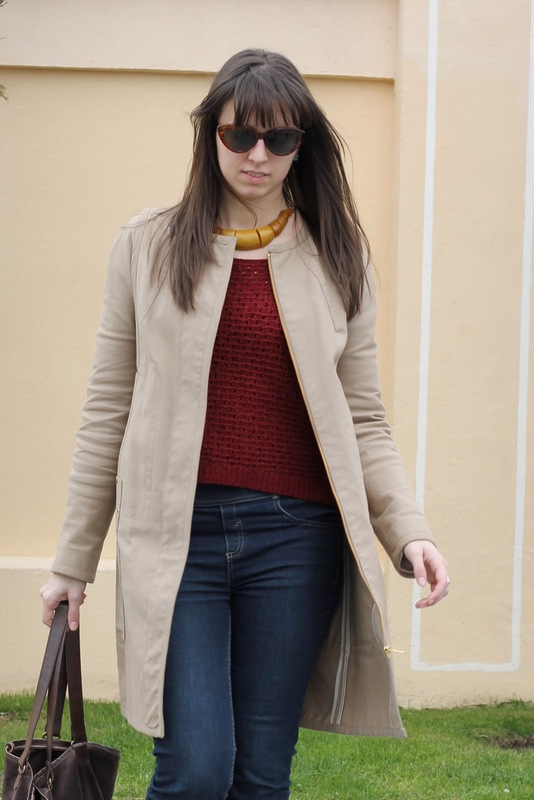 Love the knitted sweater along with your trench. you have matched your booties well. Do come back soon to visit us soon! Love the outfit... the boots look amazin! Estas guapísima! Y el abrigo me encanta! 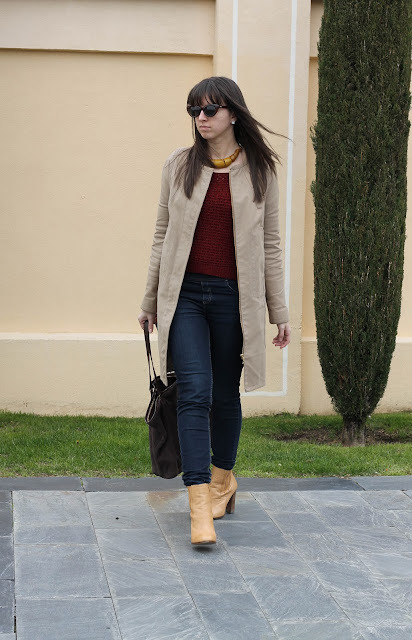 El collar a llamado mi atención, y el abrigo es precioso!!! Un saludo. The best part about a minimal trench is that you can pair it with not-so-minimal but sophisticated jewellery, as you have! Love the necklace and the overall look. Un look ideal! me encanta el trench! 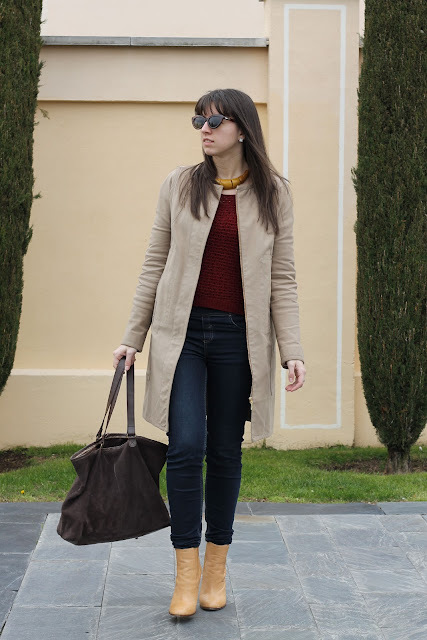 Me encanta el Trench!! ese corte es genial. 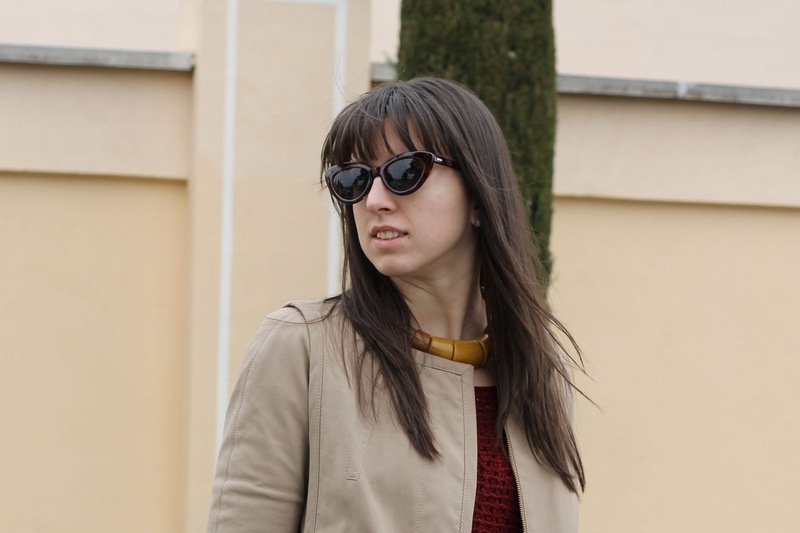 me encanta todito el outfit, y las gafas mas!!! another amazing look and gorgeous photos! As for this, that trench coat is so awesome!